A man is being hunted by police this morning after fatally shooting his ex-wife at a Texas church. 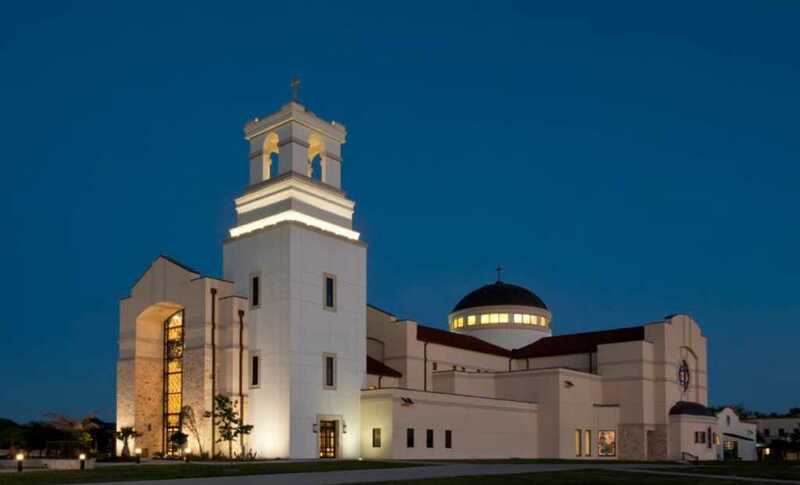 Arthur Edigin, 62, opened fire Thursday evening on a car outside Christ the Redeemer Catholic Church in Cypress, Texas. According to Harris County Sheriff’s Office, a SWAT team is currently at west Sam Houston Parkway near Westheimer, where 62-year-old Arthur Edigin is holed up at the Extended Stay America hotel. Edigin’s ex-wife and her daughter were both in the car when the suspect opened fire at around 7 p.m. Thursday. According to the Houston Chronicle, the woman, 66, was killed, and her daughter remains in critical condition at a local hospital. The church noted that the pair were attending for ESL classes, which are held on Thursday nights at the building. Local resident Pam Ledesma described the terror of finding out her husband and three kids, who were at the church, had been placed on lockdown during the shooting. “It’s just crazy to see that stuff like happens, number one at a church, and I know we live in Houston, but at the same time, I mean, I don’t know what kind of person would do that at a church when people are just trying to pray at night,” Ledesma told KTRK-TV. The local Archdiocese also released a statement in response to the shooting. “Our prayers are with the victims and families affected by the tragic shooting this evening at Christ the Redeemer Catholic Church. Officials with the Archdiocese and the parish community are cooperating with local authorities in their investigation,” it wrote.